The #1 network for voice in the UK. Roaming at no extra cost and Secure Net. 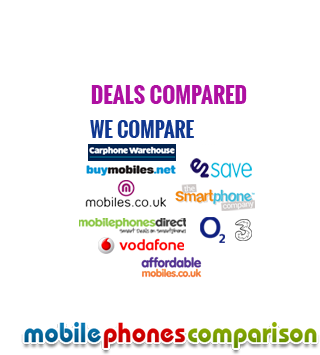 Vodafone is one of the leading network providers in the world. They are available in close to 26 countries as solo operators and are available in partnership with other networks in over 55 countries. Vodafone is one of the leading network providers in the world. They are available in close to 26 countries as solo operators and are available in partnership with other networks in over 55 countries. They are among the top networks in terms of the number of customers with a whopping 444 million customers of which 19.5 are in the UK alone. They have the highest rated network coverage in the UK. The amazing 4G deals allow you to get fast data at the lowest prices possible. In addition to that, you can have entertainment at your fingertips with select 4G deals. Free access is available to Sky Sports Mobile, Spotify and Now TV. The Test Drive Option allows you to try out a contract deal to understand how much data you really need. With a pay monthly contract, you get the benefit of unlimited browsing for two months in order to decide. If you were to lose your phone or in case it is stolen, the website provides great information on how you can track it down. In addition to that, you have the option of ensuring every device that you get on a contract basis. In case your phone cannot be used due to any repairs or even if it has been stolen, you get a courtesy phone for a certain time period. You get to pick the courtesy phone that you want to use. You convenient applications that make it easy for you to transfer your content from one handset to the other when required. With Vodafone, you can be assured of the most competitive tariffs. You have the option of pay as you go and pay monthly deals. With pay monthly, you can choose 112 and 18-month contracts. You can even get extras on the pay monthly 18-month contracts where you can get extra minutes, weekend calls, unlimited mobile internet and other benefits. With the pay as you go deal, you have the Anynet and Anytime options. The Anynet option gives you flat rates in daytime calls and discounts for evening calls. You have the same deals with Anytime but the difference is that you get discounted rates all day long after three minutes of calling. With flexible options of adding extra packs to your current contract, you get the benefit of being in control of what you pay only with Vodafone.